You can check your own credit score, and you should, through any of a variety of services. 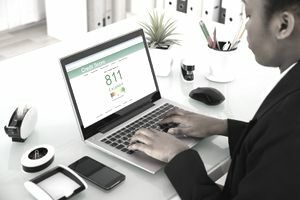 A few sites that offer free credit scores include CreditKarma.com, CreditSesame.com, LendingTree.com, and Quizzle.com. There may be other sites that claim to provide a free credit score, but if any of them mention a trial subscription or ask for your credit card information, chances are you'll be charged in a few days if you don't take some action to stop the trial.